On Tuesday, North Korea fired its first intercontinental ballistic missile (ICBM) named Hwasong-14. It has the capacity of hitting any corner of the world. 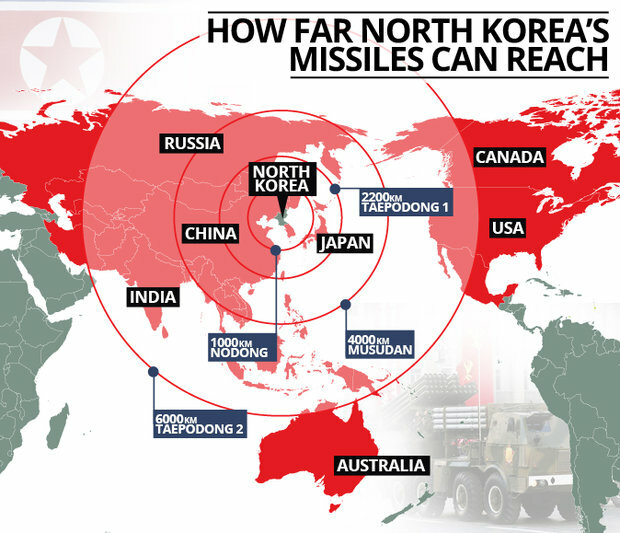 North Korea’s military capability is increasing day by day which raises tensions over nuclear weapons and most importantly over nuclear war. There are around 15,000 warheads in the world and interestingly, the majority of the weapons belong to the United States Of America and Russia. US, Russia, China, France and the United Kingdom are the five nuclear-weapon states in the world. These countries are under the Treaty of Non-Proliferation of Nuclear Weapons. Further, Countries like India, Pakistan, Israel and North Korea didn’t sign the Treaty and have an estimate of 340 nuclear weapons together. According to the U.S. Missile Defense Agency, ICBM would have a range of at least 3,500 miles. The missile is able to reach Alaska. 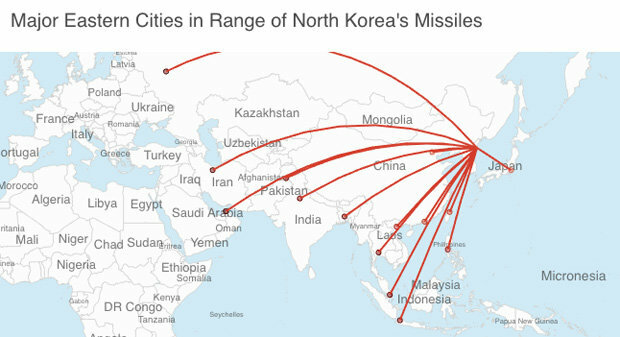 Moscow, Tehran, Tokyo and Dubai are close enough to strike and North Korea can even target India.